When you think of Venice, you imagine the city of canals and gondolas. While honeymooning in Venice it was interesting to find out that Venice has more than 400 bridges. These are used to navigate through the city areas on foot however there are only 4 bridges that span across the Grand Canal. On our 1st day in the area we had a guided walking tour, this was very helpful as Venice is full of narrow streets and the buildings are built so close together it makes it difficult to pinpoint where you are in the city. It somewhat feels like you are in a maze fortunately enough Tc managed to direct us through this bustling place like a pro. 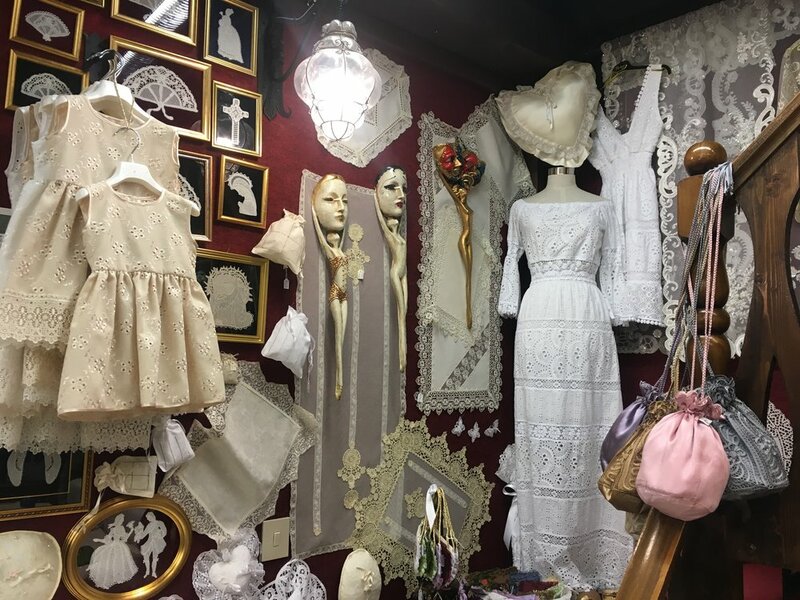 An interesting fact is that there are less Venitians living in Venice than there are tourists, in addition to that, there are more businesses in Venice than residential properties. Before our walking tour we visited Piazza San Marco also known as St Mark’s Square in English which is in the center of the city. In the square you will see the great church of St Mark which was built 1092 and if you have time, you can also opt for a tour inside the church. Our walking tour took us to the lesser known spots around Venice, such as the Venice Opera House and less popular piazza’s. Following our walking tour, we ended our day with a sunset gondola cruise through the canals and the Grand Canal, which I must say, is actually the ocean so I was a bit weary of us being transported in a small vessel. It was noted to us that all gondola operators have to obtain a license and most of the time the gondolas are passed down from generation to generation. Gondolas are costly to maintain so it is understandable why a 30 minute gondola ride is so expensive – our gondola ride was was booked together with the walking tour which is a more affordable option. Before the tour of the islands we had lunch at Trattoria da Giorgio Al Greci which is located alongside a canal and we got to enjoy our meal while watching the the gondolas and water taxis passing by. We had a three course lunch which consisted of scallops, sea food pasta as well as fresh fish. Our fish was served by the waiter and was deboned and divided for both Tc and I. Please be advised dining in Venice is very expensive, if you decide to sit and eat at a restaurant expect to pay a higher cover charge than anywhere else in Italy. Please note: most restaurants include a cover charge in their bill as tipping is frowned upon in Italy so this is done using the cover charge. Venice is made up of 118 seperate islands, on our second day we took a ferry to see 3 of the islands close by. The 1st island we visited was Murano, the island is known for their tradition of glass making. We didn’t get to see much of the island but we got to watch how a glass master creates beautiful glass artwork at a glass factory and also got the chance to purchase some unique mementos. Our 2nd stop was the island of Torcello for a leg stretch and found refuge from the rain at the Torcello Cathedral. 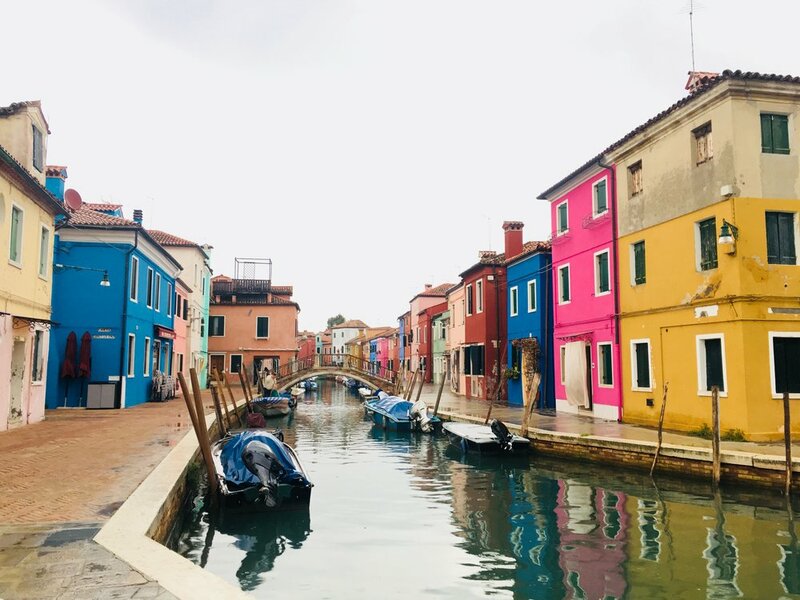 The last island we got to visit was Burano which is known for their lace, all the lace is made by hand and not by one person but by several depending on how intricate the pattern is. The island consists of multicolour buildings located along the canals. We were also invited to a bakery to taste some traditional Bussola Buranello cookies, they are similar to shortbread cookies and are “s” shaped. It was raining on our tour but I must admit we got some beautiful pictures of the island during our short visit. If you have ever been to Venice, what was your favorite thing to do or see? And what would you most like to revisit if you got the chance to?